Although the wax museum has not been around Pigeon Forge for too long, the museum as well as the surrounding entertainment center (which is a part of the package of visiting) has become a staple in the area. Fun for all ages, the museum never fails to disappoint! Established in the Smoky Mountain area of Tennessee in 2012, the wax museum has been drawing visitors from all across the country and the world for the last few years and shows no signs of slowing down. This family business has sprung from the same wax museums that currently grace Branson, Missouri (1996), the original Hollywood, California location (in 1965), and Myrtle Beach, South Carolina (opened two years after Pigeon Forge, in 2014). Located high on a hill, the outside alone is a sight to see. This two-story marvel is one of the crowning glories of an area that prides itself on family entertainment. The number one draw at the wax museum is obviously the wax figures. The museum features a variety of figures from film, music, and television, often on a rotating basis. One of the favorite things for guests to do is to pose with their favorite wax figure, which many will say look so lifelike that they cannot tell in a photograph that they are not actually posing with the real thing! 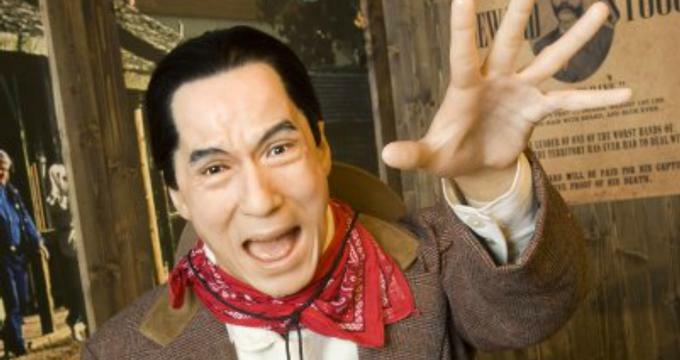 A few of the celebrities that have graced the halls of the wax museum are Bradley Cooper, Charlie Chaplin, Anne Hathaway, Brad Pitt, Elvis Presley, John Wayne, and Marilyn Monroe. With every figure comes a placard that lists some of the traits specific to each celebrity - likes and dislikes, well known accomplishments, etc. The building itself holds its own mystery and allure. Built as a tribute to the film industry in the United States, the building includes a Hollywoodized version of Mount Rushmore (updated with the faces of Elvis Presley, John Wayne, Charlie Chaplin, and Marilyn Monroe instead of presidents), as well as a replica of the Empire State Building, six stories high, being climbed by none other than Pigeon Forge’s Great Ape himself. Another part of the wax museum package is admission to the Castle of Chaos, a 5D battle against the forces of evil adventure. With a 3D film made even more intense the addition of being able to shoot at the evil (the top scorers are every round are featured on the screen, which earns bragging rights), this attraction is meant for older children and adult guests as the on-screen gore and violence can get fairly intense. Tickets can be purchased on the website. The mirror maze is another great addition to a visit to the wax museum. Wander through the corridor of mirrors at Castle Savannah to help rescue Princess Hannah from the maze. With up to 288 twists, turns and dead ends, guests will wander into a seemingly infinite set of choices meant to confuse and excite children and adults of all ages. Contact them for group rates and information about booking ahead of time. Field trips are welcome at the museum with reservations. With advance notice, the school group will receive a 40% discount on admission (which requires at least a group of 15 or more), as well as being met in the lobby by a wax museum employee who will give a brief overview on the history of the museum and lead a tour through the museum itself; It is complete with little known facts about the people found inside! When calling to reserve, make sure to include information about the group including how many students to expect, who to contact with questions, and the preferred time and date of the tour. Someone from the museum will call back to confirm and answer any questions about the tour, and work with the class to ensure a smooth and exciting visit! Open 365 days a year starting at 9am and running through the late evening hours, there are many opportunities to take a class on a field trip they will not soon forget! After checking out the celebrities at the wax museum, guests should stop into the Studio Store for a souvenir to commemorate a visit. With apparel, memorabilia, and housewares (like coffee mugs) with the wax museum logo as well as those that have a few of the celebrities featured inside, the Studio Store allows guests to remember a visit long after they have gone home.